Samyang just announced their latest addition to their XEEN cine prime range - the new Samyang XEEN 20mm T1.9 with full-frame coverage. This is the eight addtion to the budget cine prime range from Samyang, who continue to offer impressive cine lens solutions to modern cinematographers. Much like the rest of the XEEN range, the new XEEN 20mm T1.9 features an impressive 11 blade iris for a pleasing bokeh effect and of course full-frame 35mm coverage, so you can easily use this lens on a Sony A7sII or Canon 5D Mark IV as well as on any Super 35 sensor camera like the Sony FS7 II, Canon C300 Mark II or Sony F55 for example. The XEEN range of lenses features Samyang X-Coating technology and all XEEN lenses are approved for 4K acquisition. The Samyan XEEN lenses are available in five different mounts: PL, Canon EF, Nikon F, Sony E, and MFT; as well as in both metric focus scales and imperial focus scale. All focus and iris gear rings are identically positioned among the eight lenses to speed up lens changes. 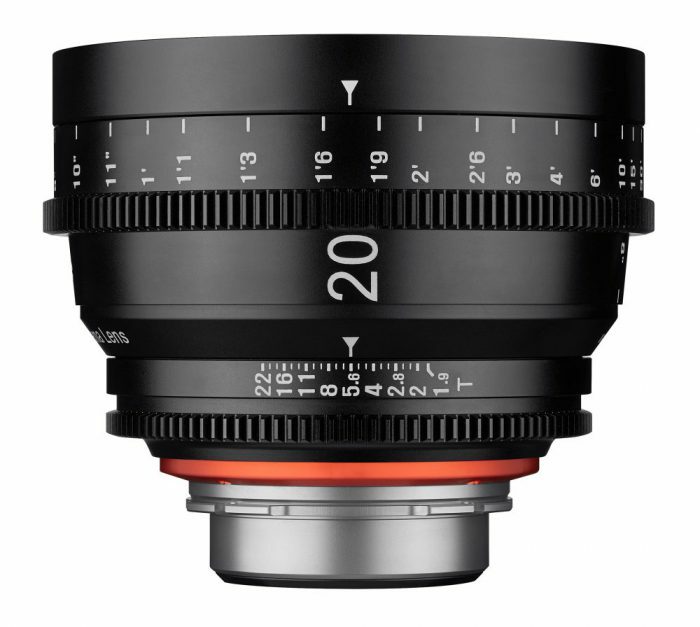 The XEEN range gets even better with the 20mm XEEN, as this is quite a popular focal length to use in cinematography. It is not as wide as the 14mm or 16mm XEEN, but it covers a wider angle than the 24mm XEEN, so for most users the 20mm XEEN will fit the need for a proper wide-angle cine lens. The new XEEN 20mm T1.9 is expected to start shipping in March 2017 and sell for about £1800. To get your pre-order in or discuss your production requirements, get in touch with our lens specialists at 0208 977 1222.